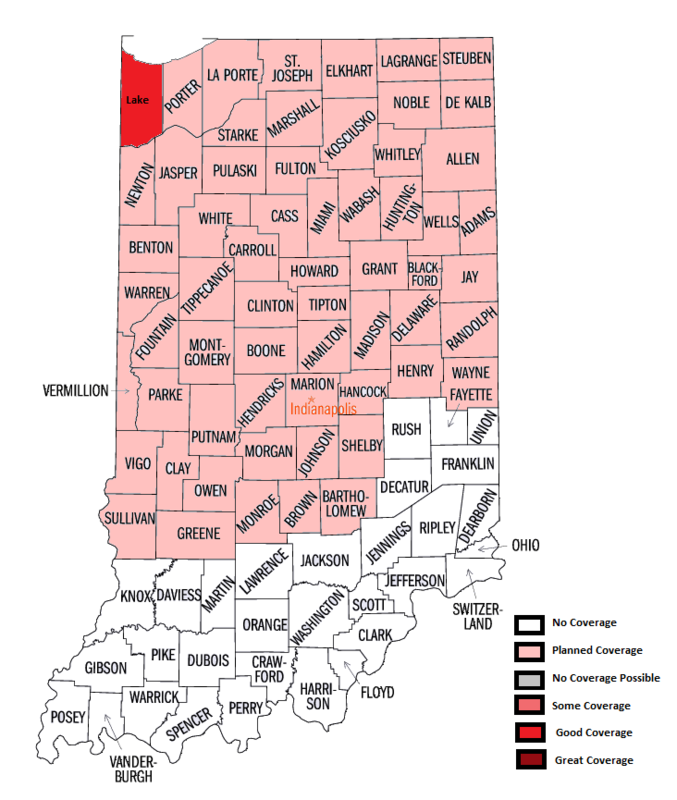 Indiana has 92 counties, and I have currently visited 1. For now, the northwest corner is my goal for this state. Long term, look to this state to have growing coverage. Please click on a County Name to go to the page! The darker shade the county is lit up in means the more bridges I have photographed here. Grey or white mean no current photographs.